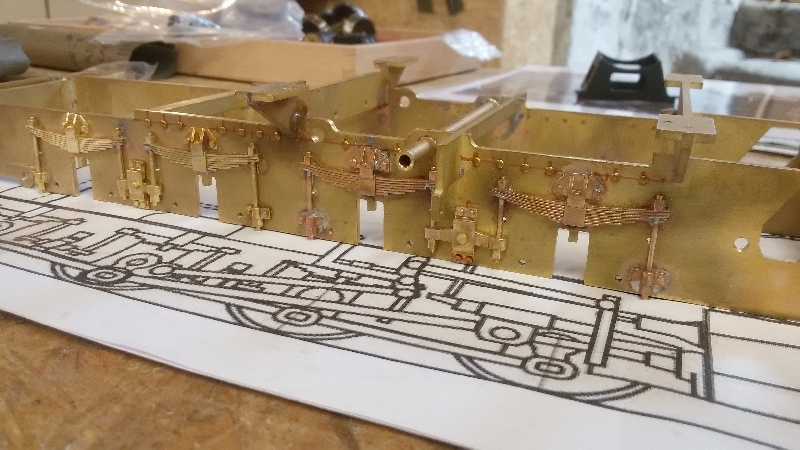 I finally got my latest delivery from Shapeways, including the suspension detail and couplers for my Resita. 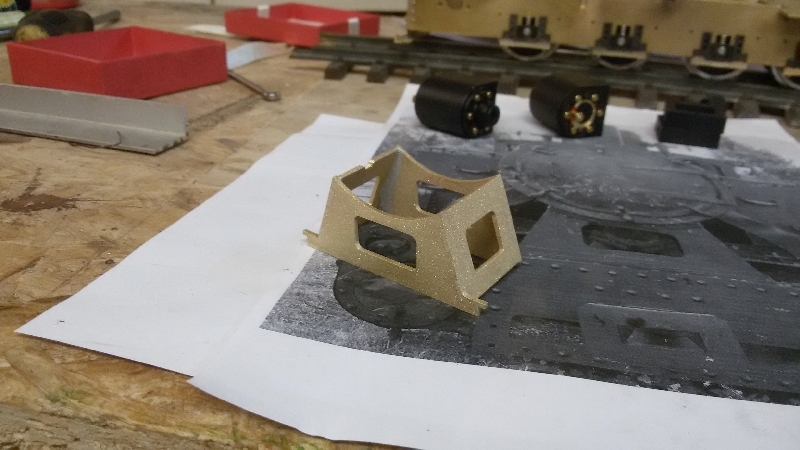 I designed them on the PC as 3D-model and got them 3D-printed in brass. 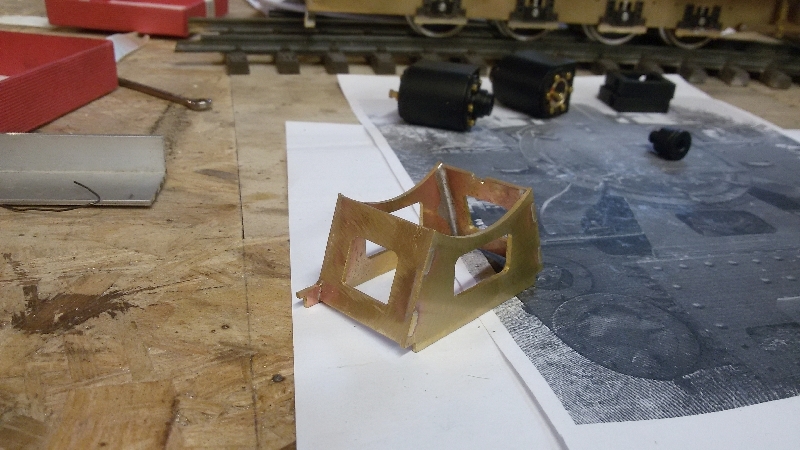 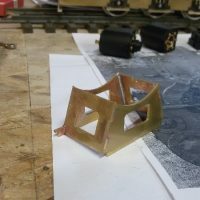 Actually, they don’t print directly in brass, they print a wax-model, which is than cast in brass as usual. 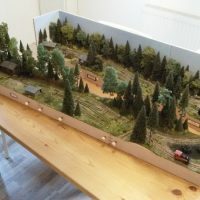 The photos above show the kit-version with my own design. 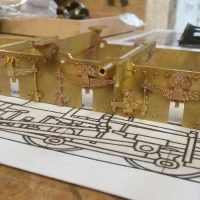 The detail of the cast pieces is amazing. 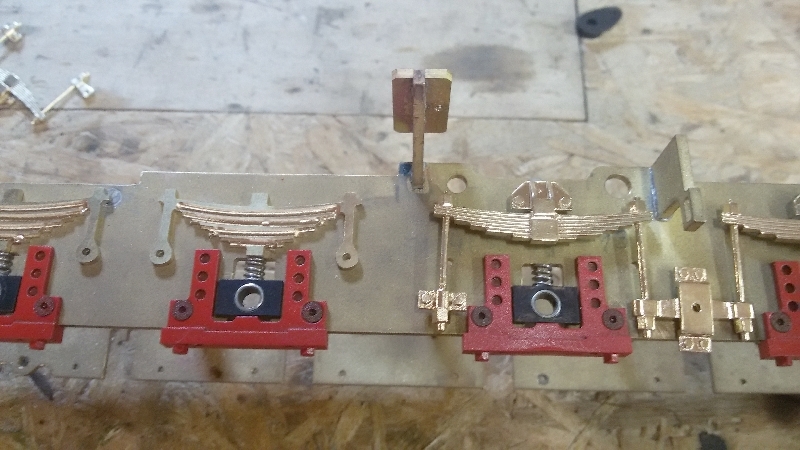 Due to some mis-calculation, the tension rods are a bit to long, so I’ve to shorten them during installation. 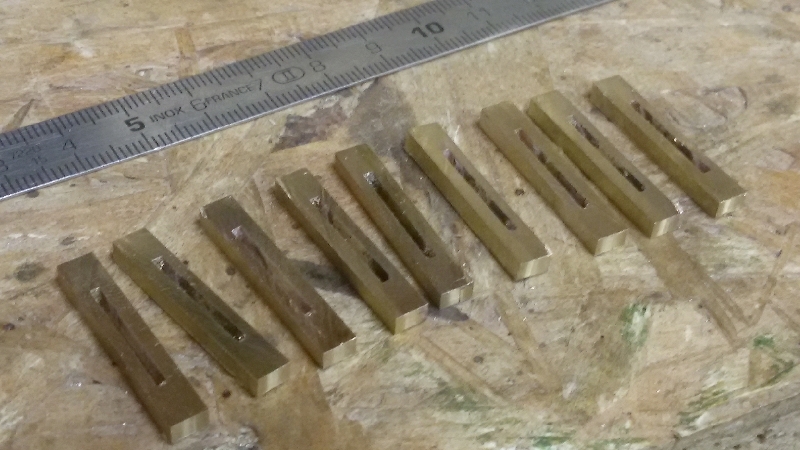 On the back of the pieces are short 1.5mm shafts, which will fit into holes in the frame for alignment. 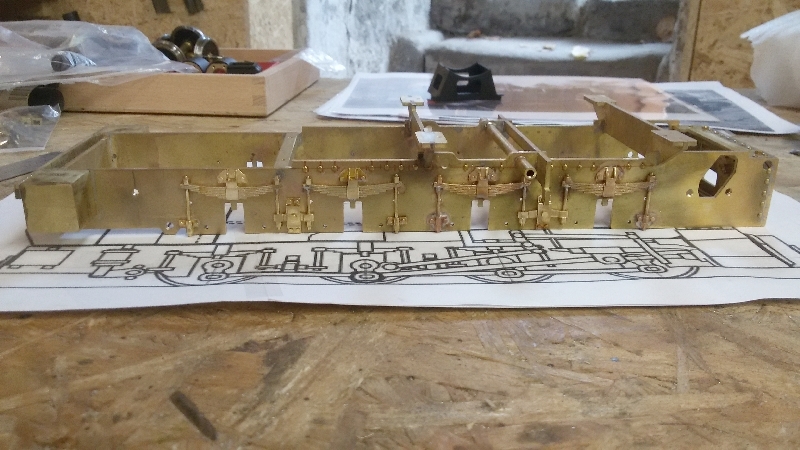 The pieces are finally soldered to the frame. 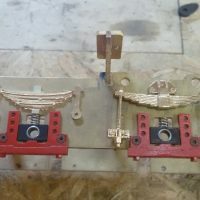 The couplers are also cast in brass. 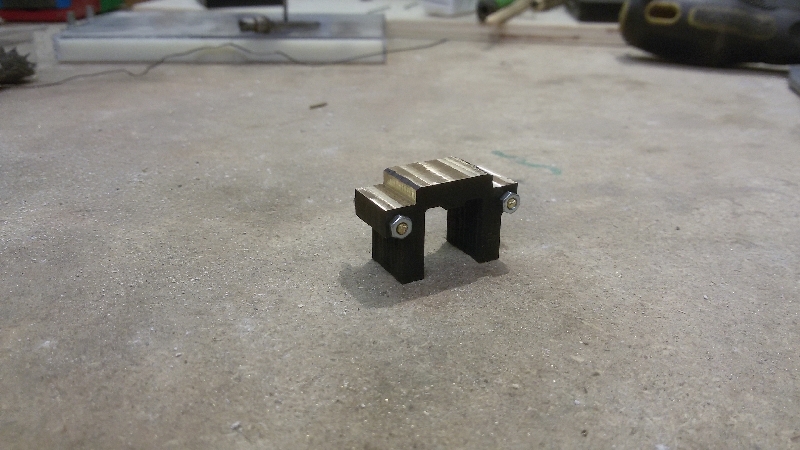 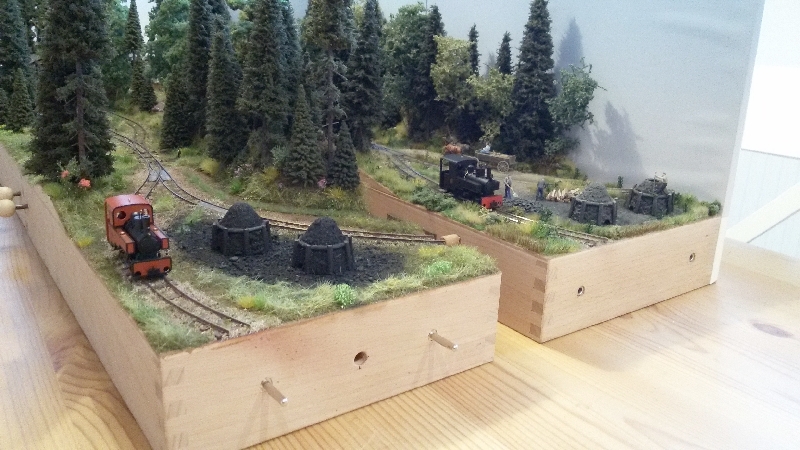 They are of my own design, matching my planed couplers for the cars and wagons. 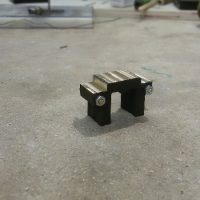 They are combined link&pin-couplers with a loop for LGB-couplers as well. 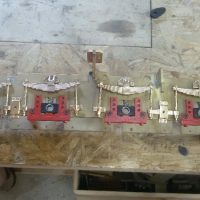 They are screwed to the frame. 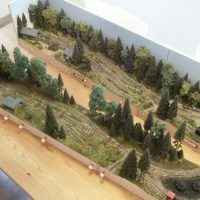 in spring this year, I showed some layouts from other model railroaders, which were based on my design of the WBE. 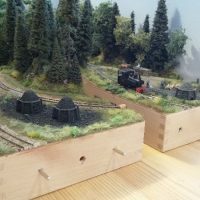 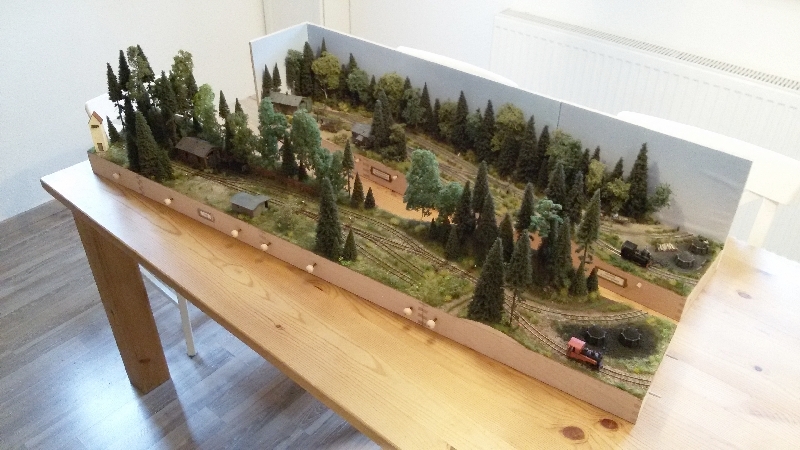 Bernd Iron copied my entire layout with some additional segments, and gave it a totally different look. 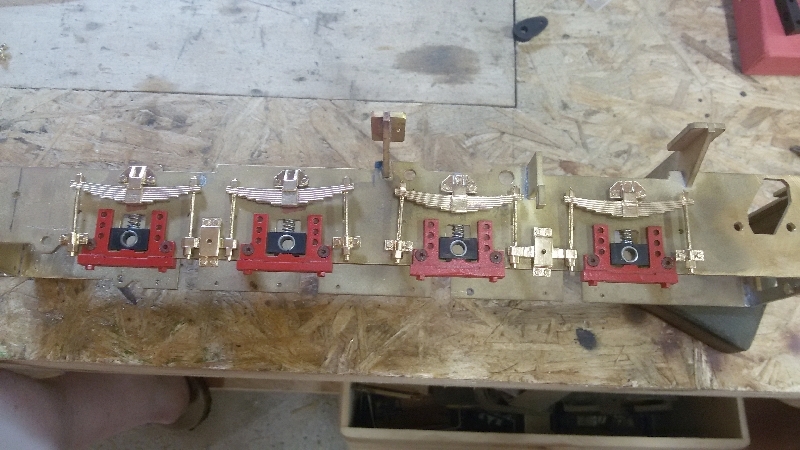 Yesterday, he came for a visit and brought some of his modules, so we placed both side to side as “uneven twins” as they are. 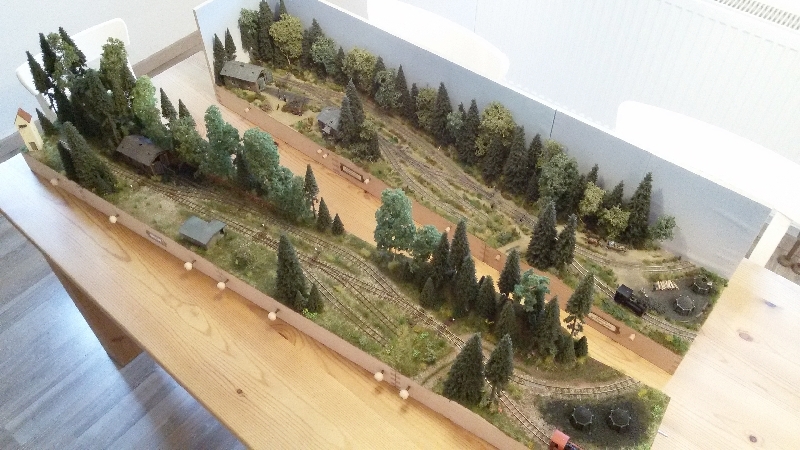 Bernd’s forestry railroad “Groß Rommelstein” is located in the French Alsace/Lorraine region, so we had a first German/French forestry railroad meet on our kitchen table. 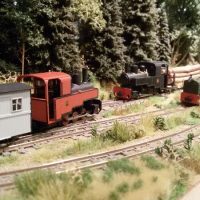 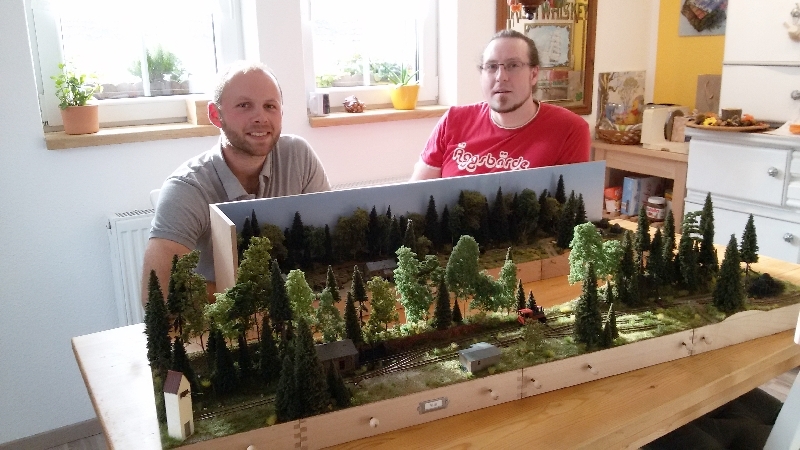 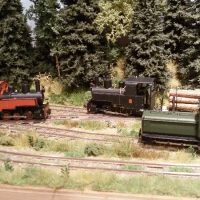 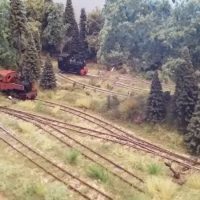 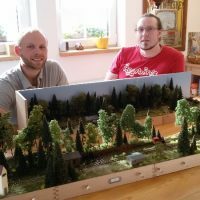 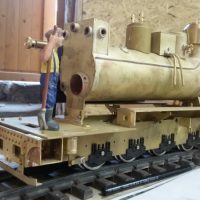 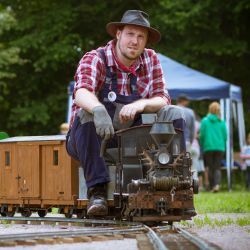 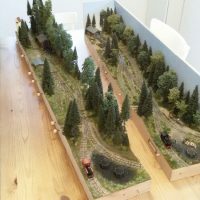 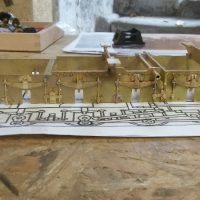 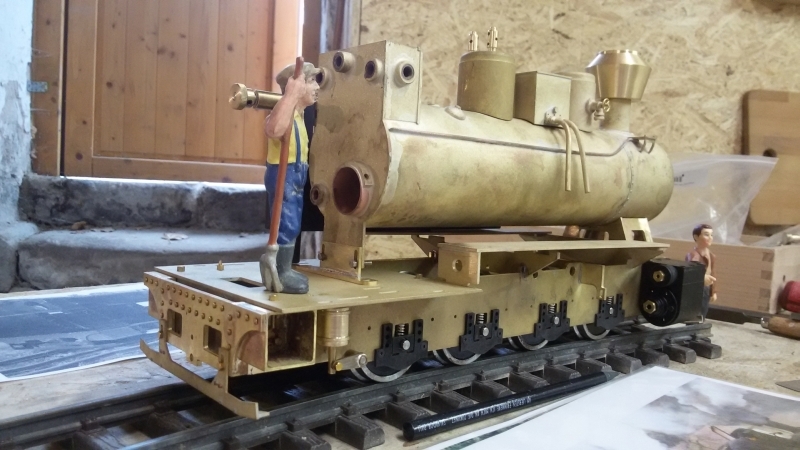 Bernd’s visit was not only for fun, we also have plans to exhibit our layouts together as huge, German/French forestry railroad during the “Faszination Modellbahn in Sinsheim” in march 2018. 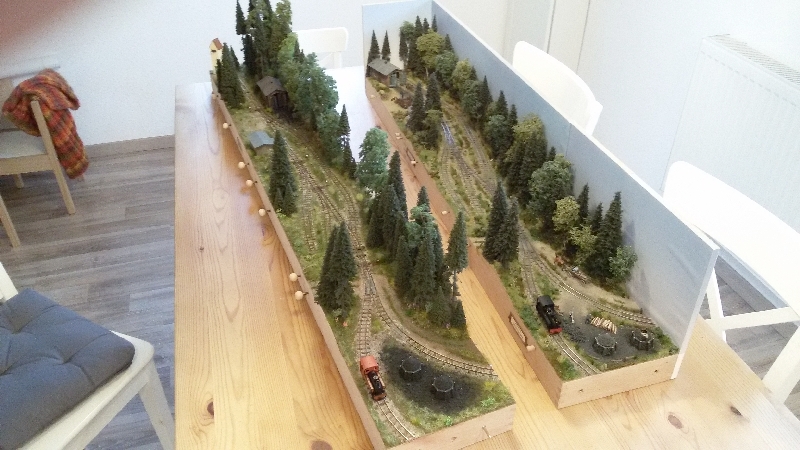 Therefore we tested some layout arrangements as well as discussed the scenery of the needed interlocking-segment. 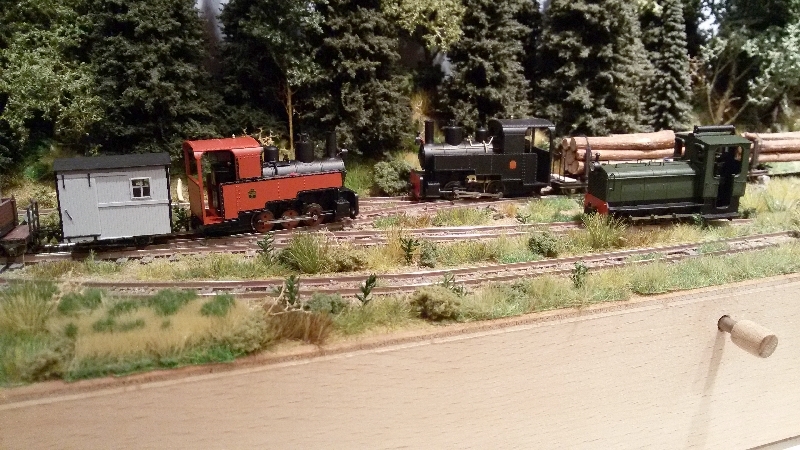 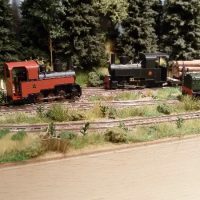 We also found some time to run trains on my layout. 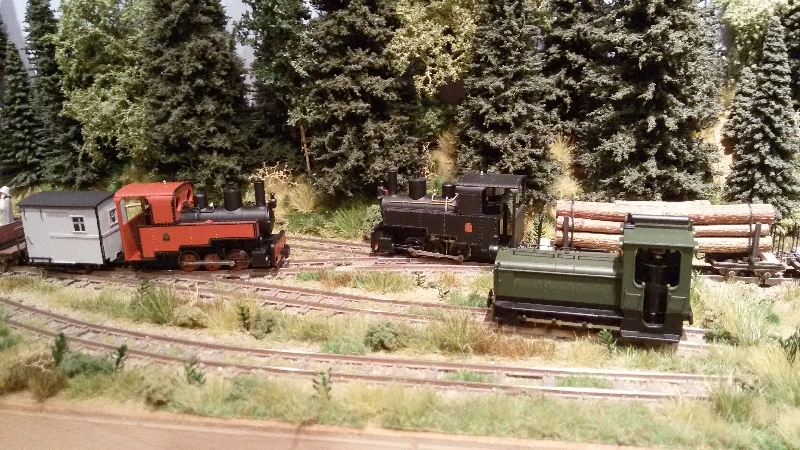 Bernd brought his new red Decauville and I recently got my green Schneider loco from Minitrains this week. 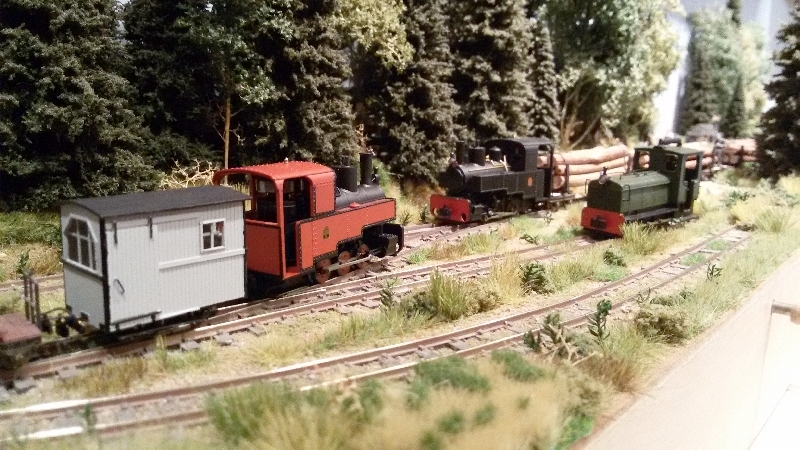 A special was the tiny grey car, which is modelled after a prototype at the Abeschwiller railroad in France/Alsace. 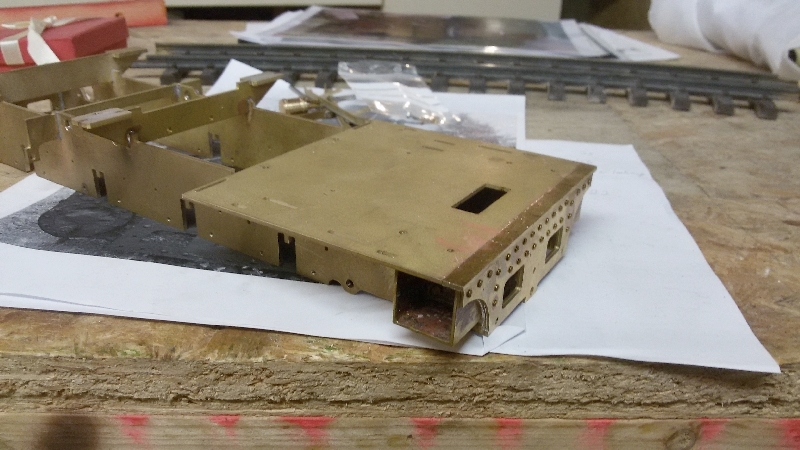 Bernd made two of this cars from evergreen styrene and this one was a gift to me and my WBE. 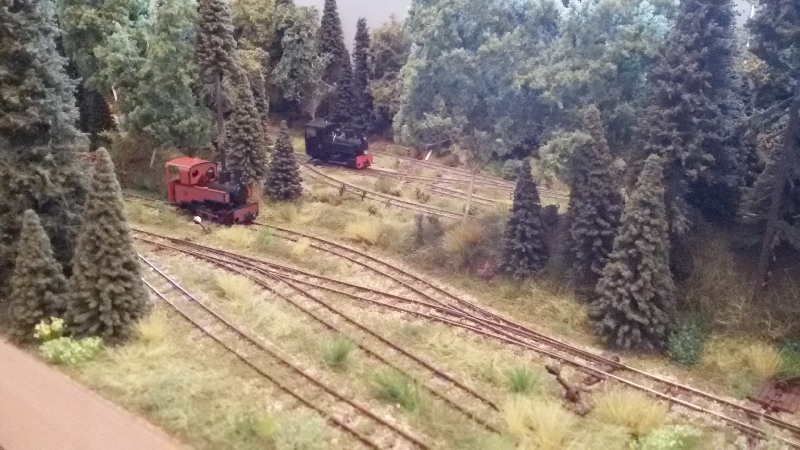 Many thanks Bernd, and we really had a great day. 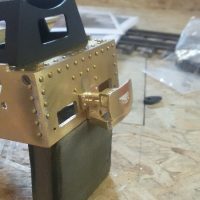 today, I’ve only a small update. 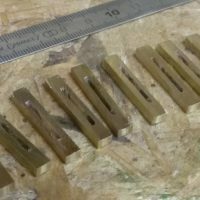 I did some modification to the journal guides. 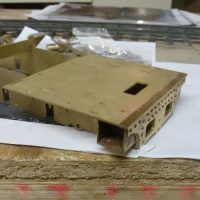 The kit-version is flat and not so close to the prototype. 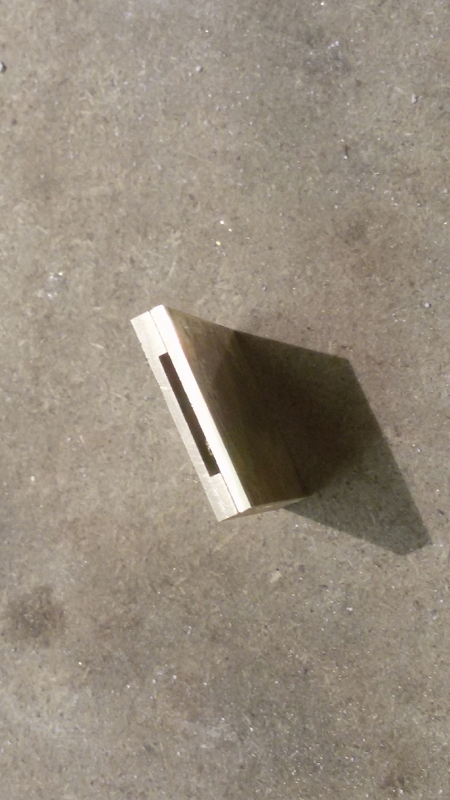 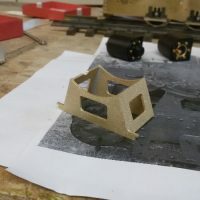 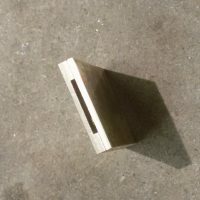 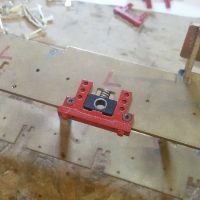 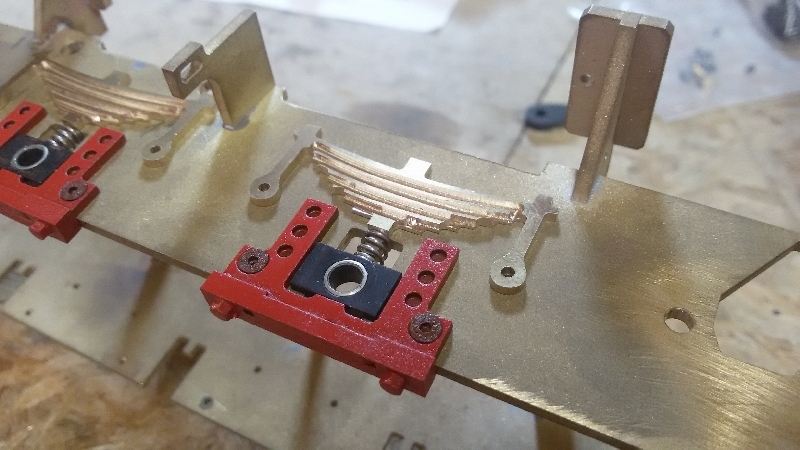 So I took some 3mm brass and milled a 1.5mm deep slot into it. 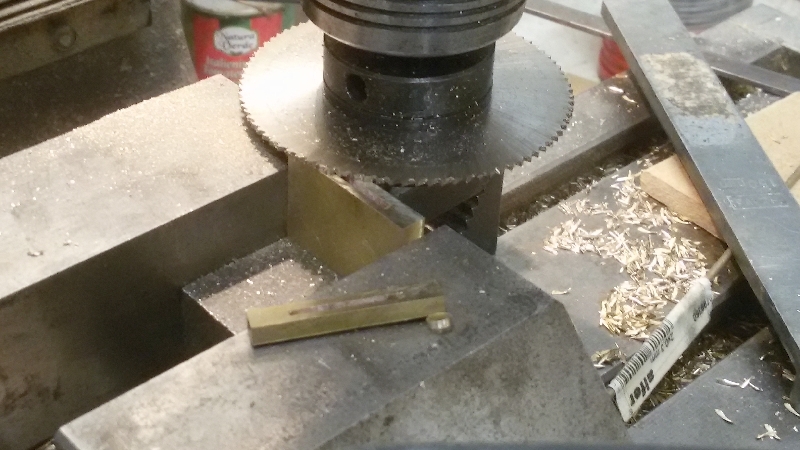 Another piece of brass got silver-soldered on top to form a “pipe”. 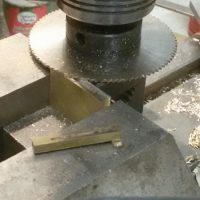 I sliced the pipe down into pieces, which will slide over the lower portion of the original pieces which got milled down as well. 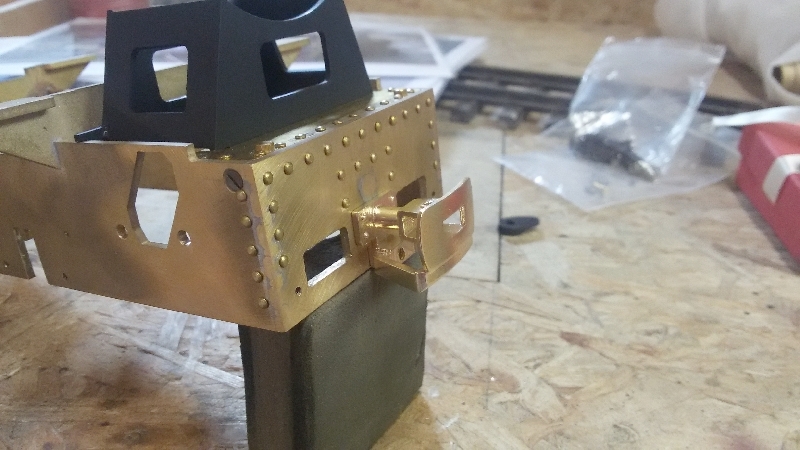 I added some screwhead-details and soldered all parts together. 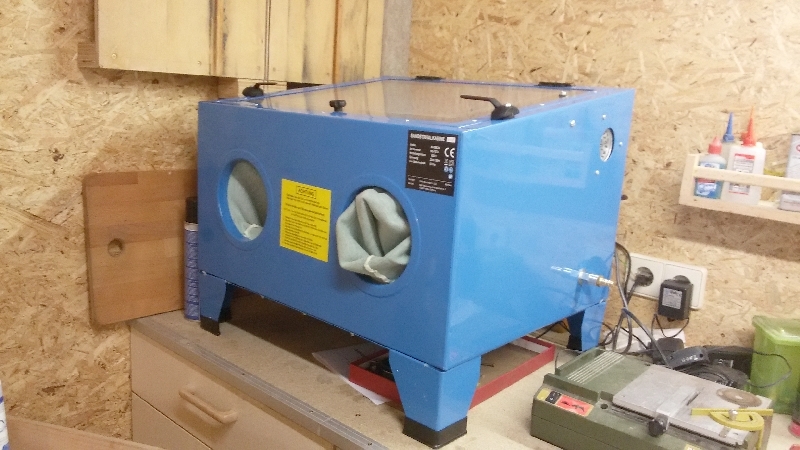 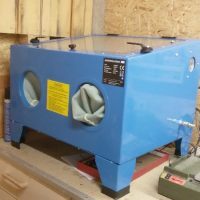 And since my new sand-blasting-cabin arrived as well, I did some tests and painting. 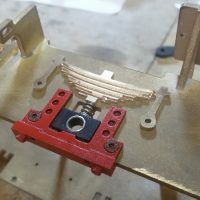 This is, why the guides are already painted red. 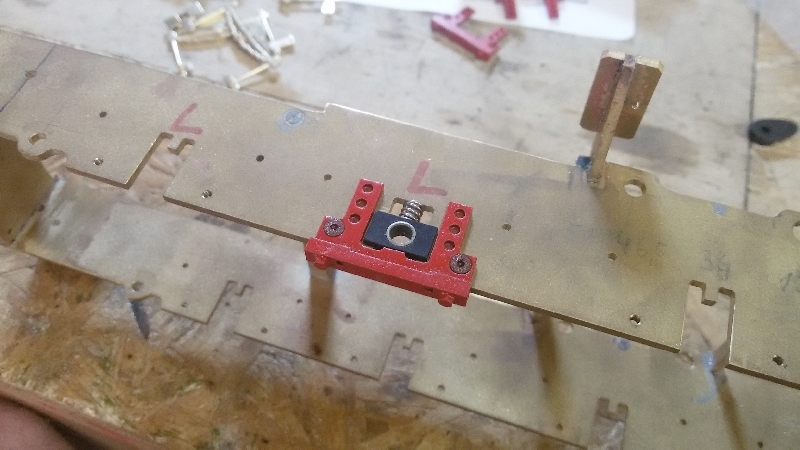 Now I await my latest order from Shapeways, which will include the suspension detail and couplers for my Resita. 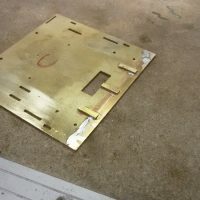 Once they are installed, the frame is nearly ready for painting. 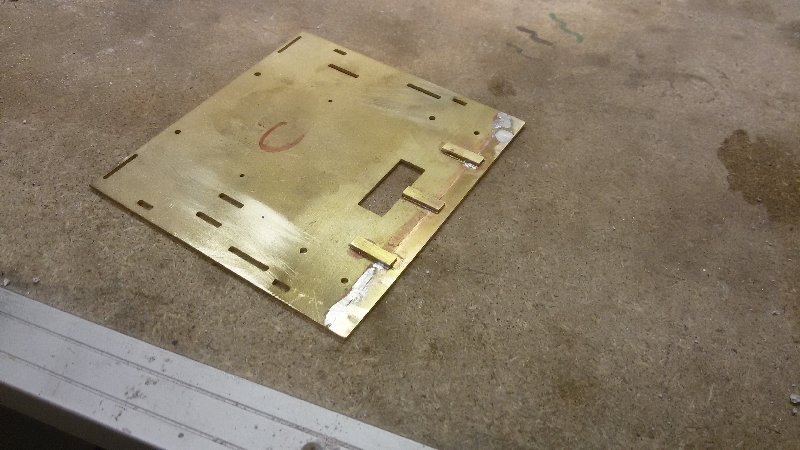 Oh, and I extended the cab floor to suit the longer frame.